Use these tips to get healthier this year. 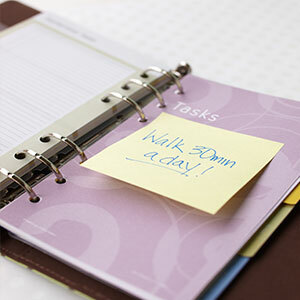 An estimated 45 percent of Americans usually make New Year’s Resolutions. And about a third of these resolutions pertain to weight, diet and health. But how long do resolutions really last? One week? One month? Maybe even two months? We all go in with good intentions to stick to our goals—so why do we often give up on our resolutions so quickly? Maybe it has less to do with willpower and more to do with what we’re resolving to do. If you’re attempting to completely overhaul your entire lifestyle, it might prove harder to stick with than if you’re vowing to change small habits that can have lasting effects. This year, make resolutions you can stick to and ditch those that are unattainable. Resolutions that focus on lasting and sustainable small changes rather then quick—and often unreasonable—transformations might be your key to success. Based on research, here are our 3 resolutions to make and 3 resolutions to ditch. High-fiber foods—fruits, vegetables, whole grains and legumes—are essential to a healthy diet. Research suggests that eating more fiber-rich foods might boost weight loss and help prevent chronic diseases like diabetes, heart disease and certain types of cancer. Focusing on eating more fiber means identifying all the wonderful foods you can eat, instead of those you can’t. Nutrition guidelines recommend that women eat 25 grams of fiber per day and men get 38 grams, yet the average American only consumes around 15 grams. (For comparison, ½ cup of black beans has 8 grams; an apple has about 5 grams.) To increase your fiber intake, choose whole fruits, switch from white to whole-wheat bread and pasta, add beans to your diet and aim to include vegetables in every meal. Eating at restaurants is a treat and getting takeout is convenient, but (most) restaurants are not in business because they make healthy food. According to a recent study published in JAMA Internal Medicine, the average meal at an independent or small chain restaurant contains 1,128 calories, 2,269 milligrams sodium and 16 grams saturated fat. That one meal has more than half the average daily calorie recommendation for most Americans, nearly exceeds the recommended sodium allowance, and contains more than 80 percent of the recommended daily limit for saturated fat. That doesn’t leave much room for the other two meals in the day—and forget about snacks. By cooking at home, you can make healthy versions of your restaurant favorites, but with much healthier levels of calories, saturated fat and sodium. Another bonus: cooking at home means you can limit the amount of processed food you eat and save money. Many fad diets and diet pills tout the benefits of quick weight loss. Not only are these diets often untested, they can also be dangerous to your health. Losing weight too quickly increases the likelihood you'll gain it back (hence the term yo-yo dieting) and may even increase your risk of getting a bone fracture. 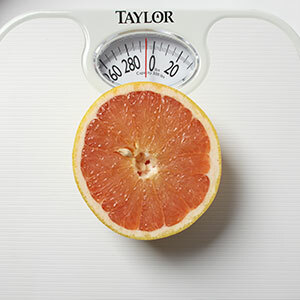 Healthy and sustainable weight loss is slow and steady—approximately 1 to 2 pounds per week. In order for weight loss to be long-term, small consistent changes, such as eating more vegetables and less added sugars, must be permanent. Temporary changes may lead to quick weight loss, but without a long-term commitment, the fast weight loss may just lead to future weight gain. Fat is an essential component of your diet: it’s needed for energy and for many body functions, such as cell growth and hormone production, and it helps you absorb vitamins A, D, E and K. Plus, fat adds flavor to meals and—because it takes longer to digest—keeps you feeling fuller longer. But it is important to choose healthy fats, such as monounsaturated and polyunsaturated fats, instead of saturated fats, which raise ("bad") LDL cholesterol. That means choosing olives, avocados, nuts and seeds (all rich in healthy unsaturated fats) over solid fats, such as butter, lard and margarine. The Dietary Guidelines for Americans recommend limiting your total fat intake to between 20 and 35 percent of your total calories each day, with less than 10 percent of calories coming from saturated fats. This means for a 2,000-calorie-per-day diet, you should aim for 44 to 78 grams of total fat, with less than 22 grams of saturated fat per day. According to a recent study, people who felt guilty eating chocolate cake were more likely to overindulge during meals and less likely to maintain their weight. According to Evelyn Tribole, M.S., R.D., the author of Intuitive Eating, restricting certain foods can lead to uncontrollable urges and overeating. Therefore, restricting yourself from your favorite foods—or feeling guilt when you do eat them—is counterproductive and may inhibit your weight loss or even lead to additional weight gain. Instead of thinking of foods as "good" or "bad," think of them as "sometimes" vs. "all-the-time" foods. Or try choosing the healthiest option of your favorite treat, and eating it sparingly. For example, if chocolate is your downfall, make it a small piece of dark chocolate. You’ll enjoy the benefits of heart-healthy antioxidants in the dark chocolate while you get your sweet treat fix.